A Re-Introduction to Old Glory TEXAS! From canvas and paint to brick and mortar, our vision has become a reality: Old Glory Style is opening in Round Top! From design to construction, we have been so lucky to work with such creative and hardworking people in Round Top to help make this happen. Check back soon to read all about our friends, partners, and collaborators who have helped us so much in Texas, but special thanks to Holly Mathis and Lewis Tindall for helping us make this happen. Texas has always had a special place in my heart. It’s a love story that began in 1961, long before I fell in love with the tiny town of Round Top. I lived in Texas as a child and learned all about life and love in this great state. My mother taught me a strong and nurturing love of home—she kept a happy home and always made sure it was functional and still beautiful. My father led by example and taught me to work hard every single day at something worth doing. My older sister taught me to be my own person, always try new things, and think outside the box. And the addition of a baby brother made our life in Texas even brighter. With each trip to Texas I am flooded with memories and lessons from a Texas childhood. I am so happy and grateful that I have such a strong foundation for a business I love and for what Old Glory has become. Texas is a place where I am inspired, energized, supported, and completely immersed in my craft. My business brought me back to Texas, and I feel like I’ve come home. 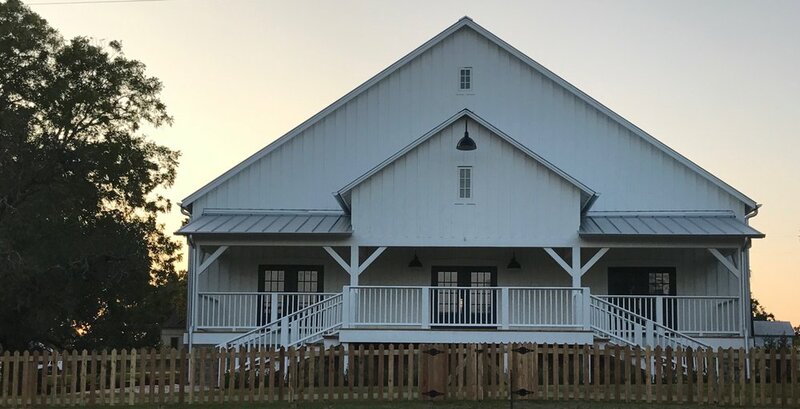 I loved our dance-hall-turned-shop home in Burton and popping up shop twice a year for Antiques Week, but I am excited about our next chapter: our very own, built-from-scratch Old Glory Texas headquarters right in the heart of Round Top. When Washington Square Park in Round Top became available for sale last year, I knew it was the perfect spot for Old Glory Texas, a 4,000 square foot blank canvas to make my creative vision for Old Glory Style come alive for Antiques Week and beyond. I can’t wait to be a permanent part of the Round Top community and share Old Glory’s signature mix of authenticity, sophistication, and function with my own unique touch. I guess you can take the girl out of Texas, but you can’t take Texas out of the girl—I am so happy to return to my Texas roots and be able to call Texas home again. Here are some photos of our work in progress and behind-the-scenes shots of our big Round Top project! While our store will not be ready for full-time operation until mid-October, we will be hosting an open house during Fall Antiques Week. And we are so excited to have Kim Leggett of City Farmhouse join us during our First Look for a book signing! Her beautiful new book, City Farmhouse Style, came out yesterday and we are so happy to have her there to sign copies and to help us celebrate our new store. If you are in or around Round Top, stop by and say hello! We will also be open MONDAY, September 25, from 10 am – 5 pm. You can read all about our adventures in Texas and all of the details for fall and winter plans here! We will be open for year-round business starting October 19th. Here are our hours for this fall and winter. Make plans now to attend our Grand Opening in Spring 2018! Keep checking our blog and stay tuned for all the details about our big Spring 2018 plans. And visit our TEXAS page for information about all things Old Glory Texas. Be sure to follow us on Instagram and Facebook to stay up to date on everything Old Glory.